This game used to be the premiere game in college football and usually the winner ended up in the National Championship game every year. 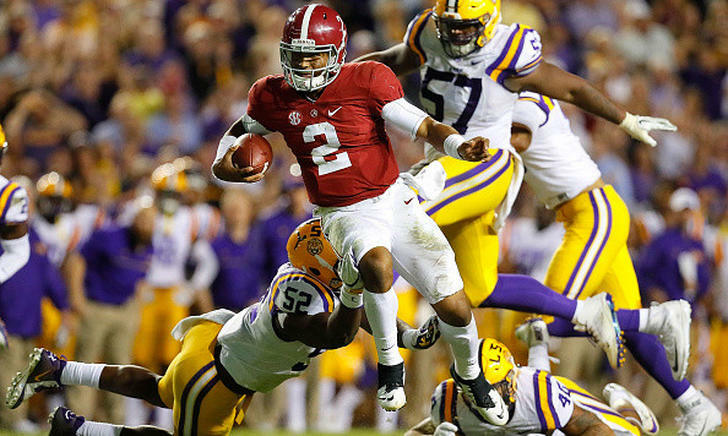 However, recently this has not been the case, as Alabama has dominated LSU the past few years and LSU cannot score against the Crimson Tide. Saturday night was the same case, as it was a defensive game again and the score remained at 0-0 for most of the game. 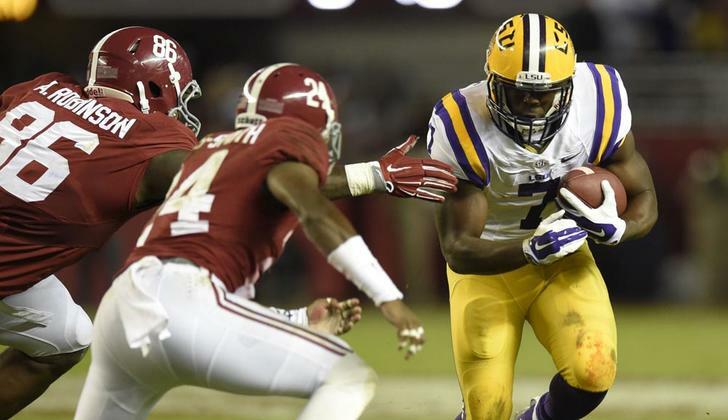 The final score was Alabama 10-0 and again Alabama held LSU's talented offense to 0 points. What is so shocking about this game is that it was played at LSU and it was a night game. A lot of players would say that playing at LSU at night is the toughest place to play in college football, but to Alabama it has not been that way in years. As bookends go, Alabama 10, LSU 0, the sixth straight win in this series should fit nicely on the same shelf as Alabama 21; LSU 0. As it turns out, it doesn't matter if LSU is coached by the Mad Hatter or the Crazy Cajun, by Les Miles, Ed Orgeron or Mr. Ed. As long as Alabama is coached by Nick Saban, LSU's annual attempt at a party on the first Saturday in November turns into one big, fat, festive funeral. Alabama held the deed to Tiger Stadium long before Saban took up residence in Tuscaloosa, and even before he stopped first in Baton Rouge. Nonetheless the Tide owns the Tigers, here, there and everywhere. No matter where or when these teams play in the last 6 years, Alabama has simply owned there SEC west rival. Next year is not looking promising for LSU either, as they will travel to play Alabama at home and look to get there first win against Alabama in 7 years. Death Valley isn't the only place where LSU's dreams come to die a crimson death, again and again and again. It's simply the place where LSU is fooled into thinking every two years it has a real shot to break the streak. Then comes the fourth quarter and Alabama casts the shadows in the Valley of Death. LSU shrinks into them. No matter what LSU does or where they play, it just seems Alabama has their number; no other team shuts LSU out year in and year out. Alabama is on their way to yet another SEC championship game appearance, with another shot at back to back national championships. Not the same can be said about LSU, as their struggles as of late are continuing.